Send invoices online with your own brand and make it easy for your clients to pay you on time. A complete online invoicing software platform for smarter businesses that want to spend valuable time on scaling their business operations. Optimize your invoicing process and get paid faster in an efficient and easy way. Save time, stay organized and look professional! Make your brand stick out by sending professional, personalized invoices to your customers. 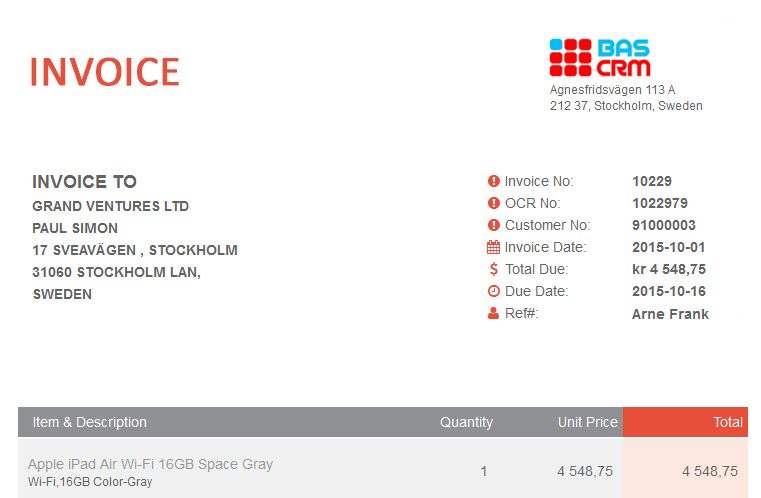 BASCRM offer a wide range of invoice templates supporting all major industries. Add your logo, company information, preferred custom, payment instructions, terms and conditions and much more. With your invoice template in place - invoices are created in a matter of seconds, and easily deliver them to your clients. When you finish your invoice, simply enter the customer's email address and we'll send out your invoice for you. No need to print out invoices and send them by hand. Flexible and automated recurring billing that scales with your growth. Set your recurring invoicing on autopilot and automatic credit card payments for your repeat customers and stop chasing payments. Get paid on time, every time. Easy subscription management with daily, weekly and monthly fees, setup fees, associated products and terms. Flexible solutions for renewals, plan changes, personalized pricing, and promotional offers. Accept credit cards with a wide range of payment gateways from day one. Make it easier for your customers to pay their invoice, avoiding late or lost payments. Connect your favorite online payment method - Stripe, PayPal, Braintree or Authorize.net. Payments are automatically recorded and updated in real time. BASCRM give you full control of you ledger, subscribe to all payment transactions and with our dashboards you have a real time overview of outstanding payments. Schedule friendly reminders sent by email or SMS to build up your customer satisfaction. Our dashboards and reports are packed full of valuable information to show you the exact health of your cccounts receivable and invoicing. 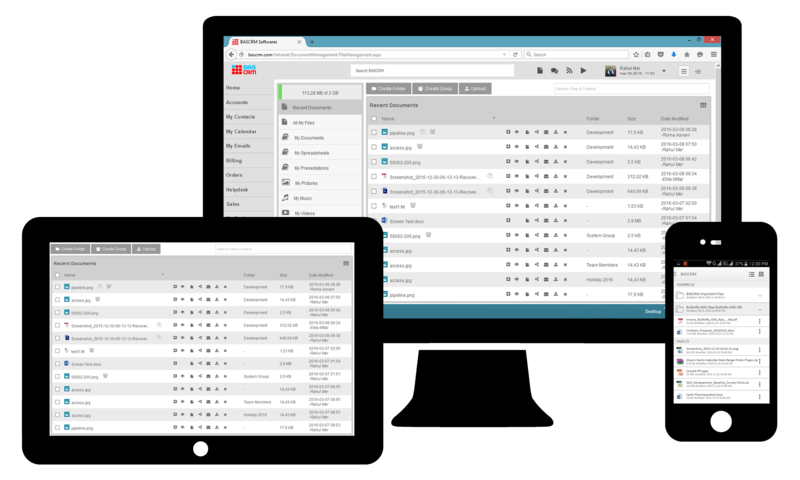 Get direct access to key information with dynamic and customizable dashboards. Make your own definition and analyze your invoicing by product, customer or salesperson. Send invoices wherever and whenever you want with BASCRM’s free apps for iOS and Android. No more checks or manual bank transfers. Let your clients pay you online and get paid up to 11 days faster. 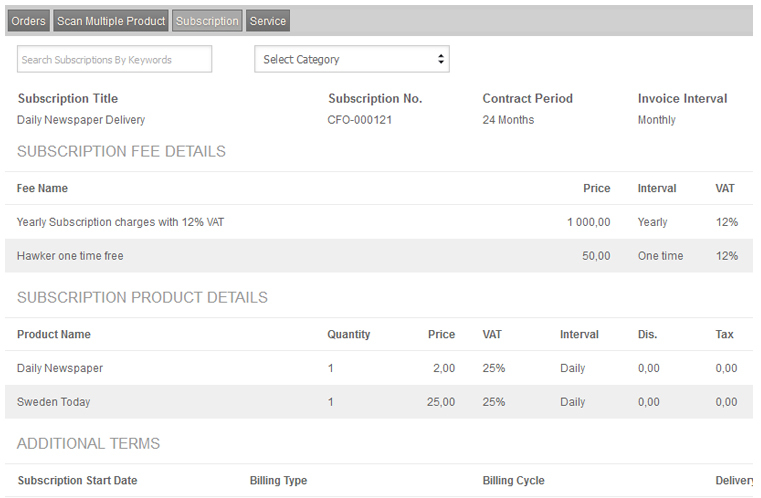 Apply custom fields to you invoice layout for that special information you want your customer see. Track if your invoices are delivered to your customer’s email, see if the email is opened and if they viewed the invoice. Automate invoice creations, reminder sending – and focus your time where it matters most.